Land Rover Colorado Springs is currently running a special on the brand new 2018 Land Rover Range Rover Evoque SUV! You could qualify to purchase your capable and luxurious 2018 Evoque for 1.9% APR for 60 months! With approved credit, for $17.49 per month per $1,000 financed, and dealer handling is included! This offer expires 4/30/2018 so don’t miss out! The newest Evoque is perfect for the whole family with a spacious interior and exciting variety of innovative features. Get ready for your spring and summer road trips with this gorgeous SUV. You can expect an estimated 22 MPG city/29 MPG highway so you can spend less time at the gas pumps. Plus, you can enjoy great features including 12-way electric lumbar front seats, speed sensitive rain detecting windshield wipers, rearview camera, remote keyless entry, heated power door mirrors, and more features! 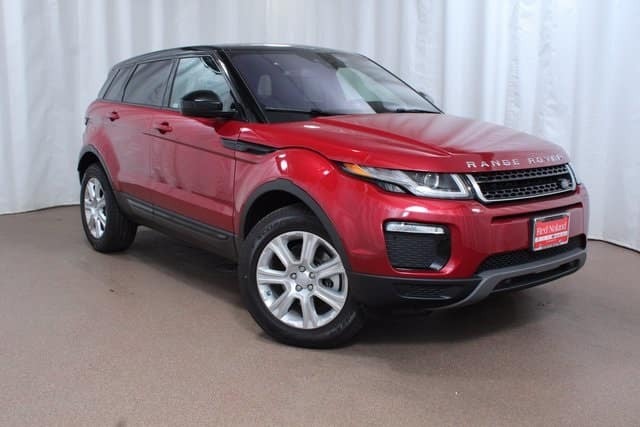 Visit Land Rover Colorado Springs at 565 Automotive Drive to see our impressive selection of the Range Rover Evoque. Let our friendly sales staff tell you more about this capable and exciting luxury SUV. Take a test drive and learn more about the many features as you experience the impressive performance delivered by the Evoque!